For the past several decades, we’ve been told that saturated fat is bad for us and leads to clogged arteries. Just about every health organization from the American Heart Association to WHO has advised against eating saturated fats. But recently there has been a shift. 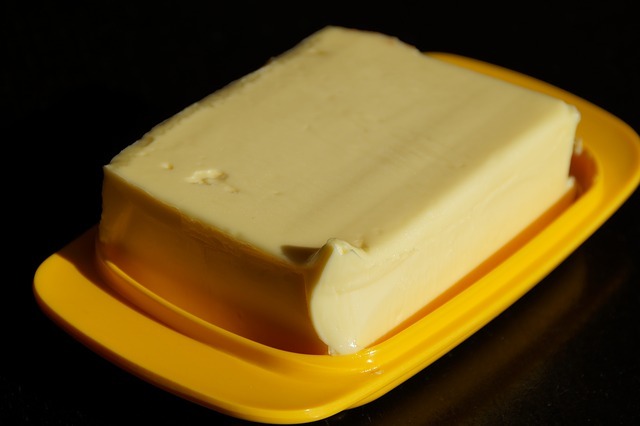 Now, there is a surge of people claiming that saturated fat is actually good for you! So what is it – Is saturated fat good or bad for you? 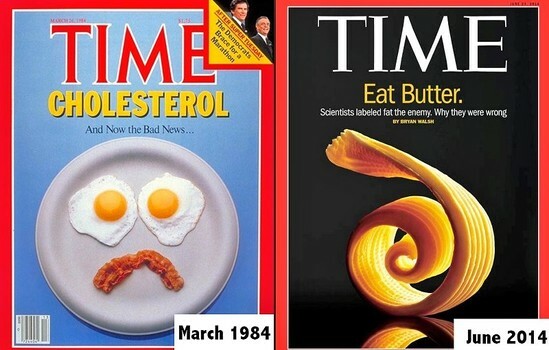 These magazine covers from Time Magazine show how our views toward saturated fat have changed. You don’t have to look very hard to find scientific studies which support the idea that saturated fat is bad for you. There are dozens of studies which show how saturated fat increases levels of “bad” LDL cholesterol in the body, which in turn clogs arteries and causes heart disease. Of course, you also don’t have to look very hard to find experts who refute these studies, with claims that the studies are flawed. There are also dozens of studies which indicate that saturated fat is healthy for you because it raises “good” HDL cholesterol levels, thus reducing the risk of heart disease. When criticizing the notion that saturated fat is bad for you, most of the naysayers point to the “Seven Country Study” which was originally used as the grounds for stigmatizing saturated fats. This study looked at people from 7 countries and found that men eating diets high in saturated fats did indeed have higher levels of heart disease. The critics say that the Seven Country Study was flawed because it ignored data from 15 other countries in which a link between saturated fat and heart disease was not found. For example, they said the Inuit tribes in the Arctic who eat a diet which is almost purely fat such as from whale blubber and didn’t have heart disease (nevermind that other studies did find that Inuits have high rates of heart disease — you can always find one study which will “prove” what you already want to believe). So, based on the idea that some “tribal” or “primative” people eat lots of saturated fat and are healthy, many groups started advocating diets high in saturated fat such as lots of red meat and whole milk. If you try to analyze all the latest data and determine whether saturated fat is good or bad for you, you’ll likely just end up confused and frustrated. Here is why it is so confusing: saturated fat isn’t inherently “good” or “bad” for you. It is, however, much more convenient for health experts and government agencies with their agendas to choose one stance and label it as simply “good” or “bad.” There is no shortage of scientific studies to support either side of the argument. The health gurus will simply select the studies which prove the point they want to make and focus on these findings. Yes, there are 24 different types of saturated fat, and each can have a very different effect on your body. For example, the saturated fats in dairy products and red meat are shown to increase LDL cholesterol levels the most. By contrast, the saturated fats in chocolate are found to act like unsaturated fat and lower LDL cholesterol levels. There is also ample evidence showing that saturated fats change composition due to food processing. So, the saturated fat in the beef the Masai tribes were eating would be very different than the saturated fat in a McDonald’s hamburger. It is unrealistic to expect anyone to memorize all 24 types of saturated fat and their effects on the body, and then to research each food before eating it to determine whether it contains the “good” or “bad” types of saturated fat. As a general rule, saturated fats from plants are healthier than those from animal products. Does this mean you must swear off meat, milk, and butter completely to be healthy? No. But if your diet mainly consists of these products, you are probably going to have some problems (one reason why vegetarians and vegans have much lower rates of heart disease). Should You Eat Saturated Fats or Not? If you want to eat healthier, you can’t just look at one nutrient and label it good or bad. You’ve got to look at the bigger picture. Take cheese pizza as an example. A slice contains about 4.8 grams of saturated fat. But it also contains 285 calories, a huge amount of sodium – plus lots of preservatives and chemical ingredients. There is very little in terms of fiber, vitamins, and minerals. Now look at avocado. It also contains a significant amount of saturated fat, but it also is rich in fiber, has fewer calories per gram, and more monounsaturated fat. There is one thing that all of the experts agree on: that we should all work on eating more fresh fruit and vegetables, and avoid processed foods. Saturated fat does have a lot of important health functions, like building cell membranes, helping in hormone production, and transporting vitamins throughout the body. So go ahead and make a stir fry in some fatty coconut milk, or top your sandwich with some avocado slices. As long as you are eating a balanced diet, you should be fine. Want to learn more? Read this article about healthy fats and why you need them. Need help planning balanced meals? Click here to get a vegan shopping list which is broken down into categories by nutrient type. Just include each category of food in your meals and you will be set!